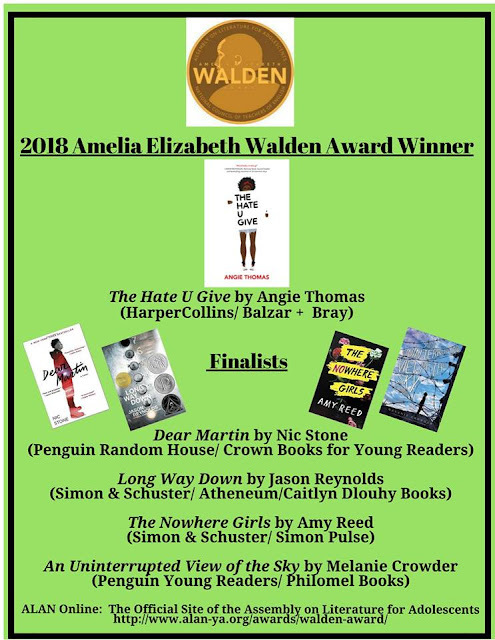 Last week we announced ALAN's Amelia Elizabeth Walden Award finalists. This week, WE HAVE A WINNER! Being part of this committee is a true labor of YA lit love. 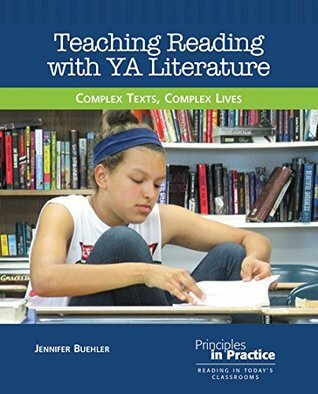 In this book, Dr. Jennifer Buehler writes of the myriad ways that teachers can use YA lit in their pedagogy, not just as a supplement, but as examplar texts. This book includes explanations for how YA lit is complex, ways to assess the reading of YA in the classroom, and talking points for the naysayers who don't think YA should be taught instead of the classics (AKA, old dead white guys). Jensen's first anthology about feminism blew me away and was visually stunning. This book about mental health is equally as engaging, visually appealing, and important. Add this to your YA nonfiction collection in October. If you haven’t watched Mac Barnett’s TED talk, do that before you read this book; The absurdity will make more sense. Absurdity that includes, the Queen of England, stolen Crown Jewels, the queen’s corgis, the Mona Lisa, and the KGB. A great new transitional chapter book series for students in grades 2&3. 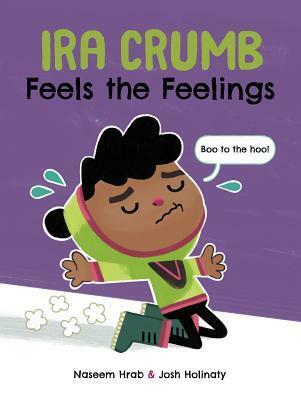 Ira Crumb’s chin wibbles and the tears fall when his friends and classmates choose to play tag over his preferred hide and seek. A sweet story about allowing grace for yourself when you’re feeling sad. I'm reading (Don't) Call Me Crazy now and I love how it includes so many different voices and perspectives. I'll definitely be purchasing this for my YA collection. I'm especially interested in reading (Don't) Call Me Crazy! I hope one of my local libraries get this title -- may have to go ahead and put in a recommendation NOW. Thanks so much for the shares, this week! I love Mac Barnett's TED Talk so much--I come up with a reason to show it in just about every class I teach. Looking forward to reading the two Amelia Elizabeth Walden finalists I haven't gotten to yet. Kid Spy was such fun! Really, sometimes students will believe anything. I have most of mine convinced I am 80. 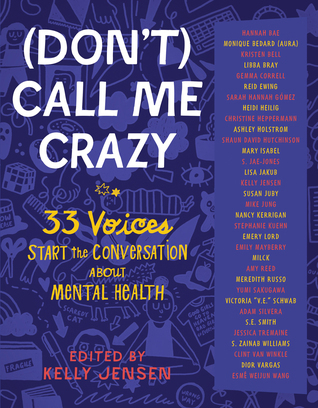 I hope to read (Don't) Call Me Crazy: 33 Voices Start the Conversation about Mental Health, but am thankful that my library doesn't have a copy yet. I just lost my sister who had mental health issues, and sometimes reading related literature can feel like opening wounds. 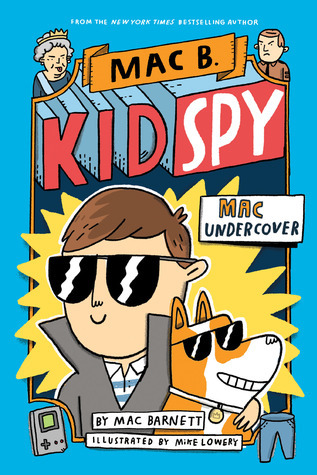 Mac B Kid Spy sounds fantastic! Teaching with YA literature sounds very interesting. I am looking forward to seeing what books they recommend. Don't Call Me Crazy sounds so important. Thanks for sharing this, Beth. And the Mac Barnett book sounds great for one of my granddaughters. Don't Call Me Crazy is a book that I really need to get! I am a huge advocate for brain health knowledge.